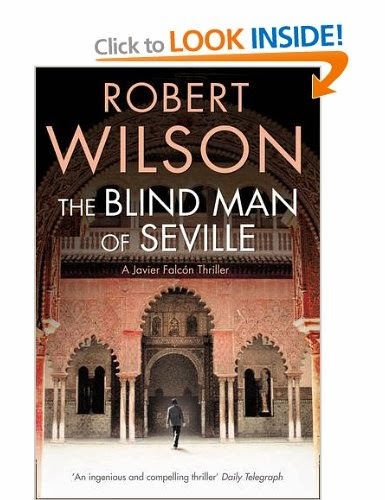 The Blind Man of Seville, my chosen Friday's Forgotten Book today was published in 2003. Like the other good detective writers – Chandler, McDonald and Thomas – the author of this book, Robert Wilson, recognises that the seeds of murder are often sown a long time in the past. 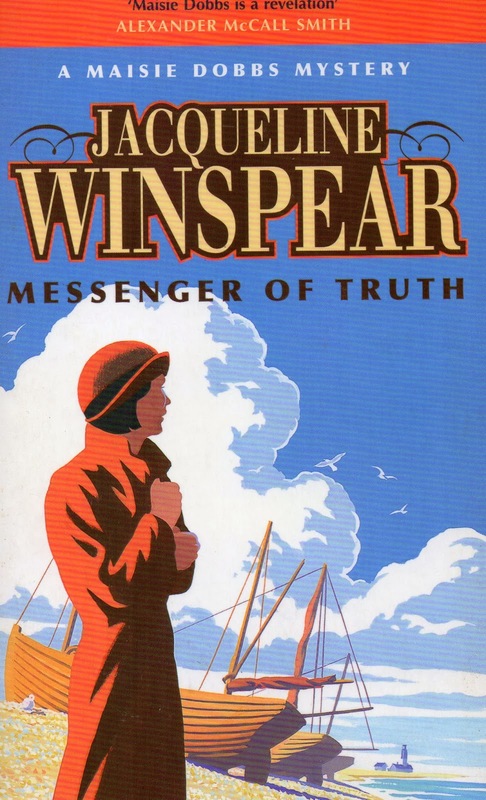 Wilson has already shown his command of past times and foreign places in his earlier novels and here he captures modern-day Spain and also mid-twentieth-century Tangier. The beginning is macabre and brutal: a man is bound, gagged and tortured in front of a television showing something he doesn’t want to look at. The tortured man actually dies from self-inflicted wounds, anything to stop himself watching. It’s Easter week in Seville, where the Feria de Abril is about to swamp the entire city with its gaiety, colour and spectacle. 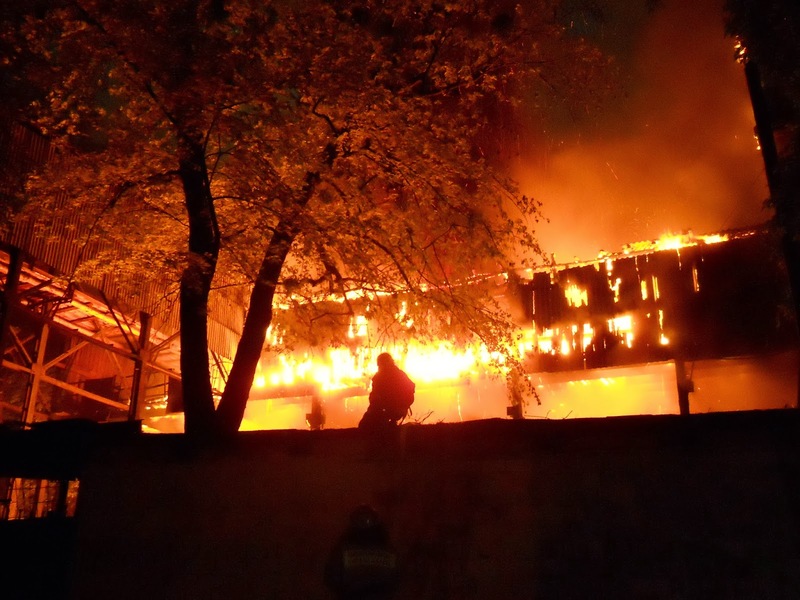 This story struck a few notes of recognition since I have visited the city. Wilson brings this city alive for the reader. It’s not like a North American city; here there were only seventeen murders last year – most usually committed within the bounds of the family. But detective Javier Falcón discovers that this awful death is different. After the third notable gruesome death, the press dub the culprit ‘the blind man of Seville’ because the dead men have their eyelids cut off so they cannot avoid watching whatever causes them to torture and kill themselves. But as you read on it becomes clear that the blind man is indeed Javier Falcón. He cannot see what his past is telling him. Through the agency of the uncovered journals of Javier’s father, the story about the Spanish Civil War, the Spanish legionnaires on the Russian Front in the Second World War and the protracted hedonistic exile in Tangier is revealed; Wilson spent some three months writing these journals and much of the material, not being directly pertinent to the story’s flow, wasn’t used in the book. One author at least who realises that he doesn’t have to impose all his research on the reader! However, you can access this research via his website, as a pdf in the section on The Blind Man of Seville (but you need to read this book first to gain insight from it): here. Above all else, however, the book reveals character – the good and the bad and all the greys in between. Wilson has written 12 novels, 4 of them Falcón books, two of which have been filmed with Marton Csokas as Falcón: The Blind Man of Seville and The Silent and the Damned (now available on DVD). Writers do it, if they’re fortunate enough. Hear the voices of their characters. It doesn’t happen for every author and it doesn’t happen all the time for any author who hears those characters speaking. When I get so far into a novel – or, sometimes, a short story – I start hearing the characters speaking to each other, resolving issues I haven’t sorted out in my plot-plan, creating conflict I hadn’t designed, and generally moving the story forward. These moments are marvellous, for if the characters are ‘real’ to me, then I just might be able to convey that ‘reality’ on the page. That’s what writers constantly strive to do, in effect: impose their reality on the reader for the duration of the story. So, from this perspective, hearing voices is a good thing. Yes, there’s no need to send for the men in white coats. Having read some imaginative literary forays, however, it’s possible that a few critics or psychiatrists might lean towards that opinion. Gruesome murders and overtly sexual themes suggest they may be authors’ cries for help. Nonsense, of course. Whatever the imagination can conceive is never as strange as what occurs or has occurred in real life. Seriously, though, for a long time, there’s been a tendency to assume that anyone who hears voices in their head must be suffering from a hallucination. This is not a delusion, which is someone interpreting something differently from others. [A few politicians might be deluded, thinking they’re doing the right thing, perhaps.] Another example of delusion is paranoia. Whereas a hallucination is something that a person perceives that nobody else can. Statistics indicate that several million individuals have experienced hearing voices at some point. Opinion is divided but many consider that these voices are bad, encouraging violence, evil acts and are even sourced from the devil himself. [I’m sure authors may be responsible for perpetuating this, too, reflecting on commonplace if misguided opinion.] Yet, reality leans to the statistic that some 50% of people say that the voices they hear are positive, friendly and helpful. According to the medical profession, notably many psychiatrists, there is a strong belief that hearing voices is a sign of psychosis. And psychosis = psychotic, insane, mad. To combat this view, a movement was set up. In 1987 Marius Romme and Sandra Escher formed the Hearing Voices Movement. They seek to investigate and provide support for individuals with this condition. The movement is now called Intervoice and has branches worldwide. The credo of Intervoice is: hearing voices is not in itself a sign of mental illness, and indeed is experienced by many people who have no symptoms of mental illness. 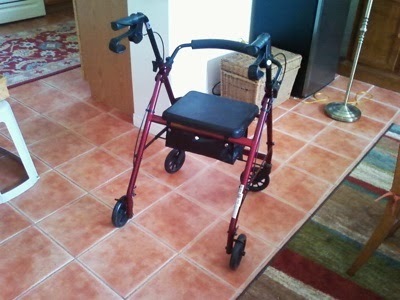 The condition may be linked to problems in a person’s life history. They can develop coping mechanisms to confront the unresolved issues. Intervoice oppose the blanket use of anti-psychotic drugs. No demons, no evil spirit, just a troubled mind that needs the soothing balm of comprehension. The above is based on the ‘Psychotherapy and the power of the mind’ column’s article ‘People who hear voices’ by Graham Milton-Jones, Costa Blanca News, February 7, 2014. Living with Voices: 50 Stories of Recovery (2009) - This book claims to hold true for those who have been given a diagnosis of schizophrenia. At its heart are the stories of the 50 people who have recovered from the distress of hearing voices, and how they have changed their relationship with their voices in order to reclaim their lives. – Wikipedia article, Hearing Voices Movement, definitely worth reading. 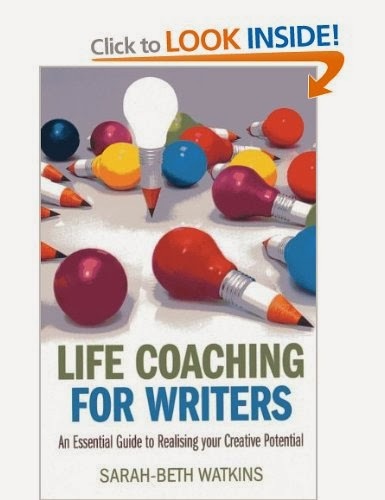 A while back I, along with several other writers, was approached by an author to contribute to her book, Life coaching for writers, by answering a few questions. The author, Sarah-Beth Watkins is a freelance writer with over 20 years' experience of writing for magazines and websites on a variety of topics including writing, parenting, crafts, literature and women's development. She has also tutored writing courses within community settings and as a distance and online learning tutor. She lives in County Wexford, Ireland. I was happy to oblige; no fee, no royalty, no problem; my writing CV's at the back. Happily, I don’t have a problem with my imagination or my creativity. Indeed, I have far too many projects and stories begging for space in my cranium. Some say writing is a lonely business. I don’t see that – I’m always accompanied by several characters clamouring to be heard, insistent that it’s their turn to appear on the page now. Even so, from time to time it’s helpful or encouraging to read about how other writers cope with the process of writing. And, in truth, we can all glean fresh insights from this kind of cross-pollination. This book offers plenty of perceptive viewpoints and even some trails to follow to get those creative juices flowing. Your creative purpose – this may be important. When I first started writing in earnest (a small town in southern Hampshire), the correspondence course tutor presented me with a list of questions, among them, “Why do you write?” That helped me focus on the why. Setting your writing goals – this makes sense; be practical, with your feet firmly on the ground, even if you aim high. Clearing writer’s block – put it in perspective. Balancing it all – your writer’s day, how to cope with life and chores. Dealing with rejection – and success! Getting it down on paper – a must! 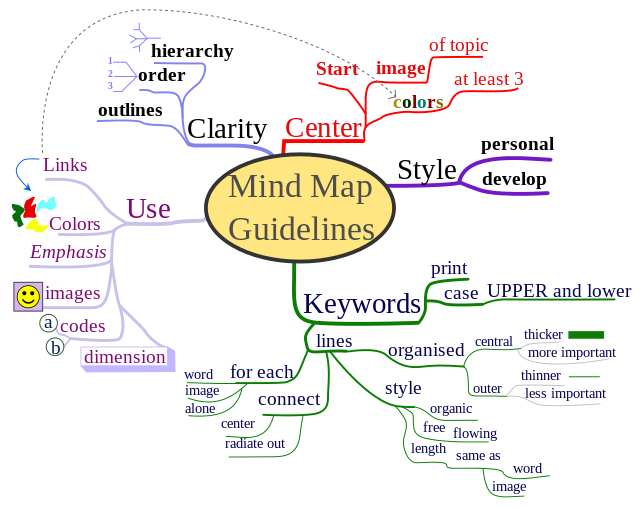 Resources for the writer’s mind – lots of helpful references here. There's a good deal more than the above, of course. You can check out the first 5 pages including the contents on Amazon here (UK) and here (US). Meadhbh Boyd Bread and buttered in County Clare, Meadhbh is an Ethnomusicology graduate of the School of Music and Theatre, UCC. She has contributed as a writer on Big Brother (C5, 2012), and is currently working as a barista, and Creative Producer for musical comedy, Laundrette Superstar, with writer Fortuna Burke. A.M. Dunnewin obtained a BA in Psychology with a minor in Criminal Justice. Although her stories cover a wide range of genres, she primarily writes historical fiction and thrillers. She lives in Sacramento, California. Deborah Durbin has spent the past 16 years doing her dream job – writing content for lots of glossy magazines, along with writing books as and when a subject comes to mind. She is the author of 11 non-fiction books and two novels. Her latest book, So You Want To Be A Freelance Writer? is now available. Amanda J Evans is a professional freelance writer, author, ghostwriter, poet and spiritual teacher living in Ireland. Amanda is the author of two non-fiction books. From Those Death Left Behind and Messages From The Angelic Realms. She is currently working on a YA novel. Melinda Feeney comes from an oral culture (Mohawk Nation) and this reflects in her writing. Joe Griffin is a well-known writer, journalist and presenter who he has written for The Irish Times, The Guardian, The Irish Independent and The Sunday Times, regularly appears on TV and radio. Marilynn Hughes had a career in broadcasting as a news anchor, reporter and producer. She has experienced, researched, written and taught about Out-of-Body Travel and Mysticism since 1987 and has appeared on innumerable radio and television programs. Krystina Kellingley is a reader and commissioning editor/copy editor/publisher of imprints Axis Mundi Books (esoteric books), Cosmic Egg Books (Fantasy/Sci-fi/Horror), Our Street Books (children’s books) and Dodona Books (divination). She has just had her first children’s book, Mistower – The Loneliest Mouse, published and is currently working on an adult supernatural novel. She has a BA in Imaginative Writing and Literature and an MA in Creative Writing. She lives in the UK. Niall McArdle is an Irish writer based in Canada. 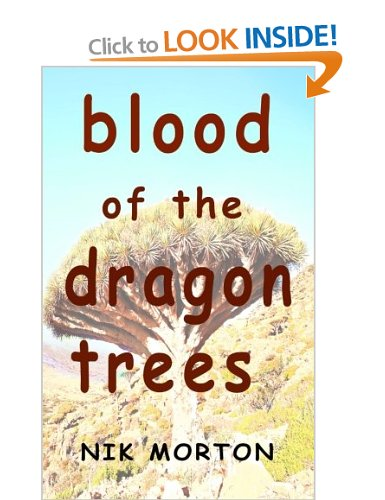 His fiction has appeared in Phoenix Irish Short Stories. He has had work published in The Irish Times, The New Orleans Review of Books and The Malahat Review. Anna McPartlin was a stand up comedienne for four years and it is her experience writing sketches that ignited her passion for storytelling. Her debut novel Pack Up The Moon (2006) was a best seller; she has written three more novels, So What If I’m Broken being her latest work. She’s also written School Run, a TV comedy-drama for TV3 which was nominated for both an IFTA and a TV award. 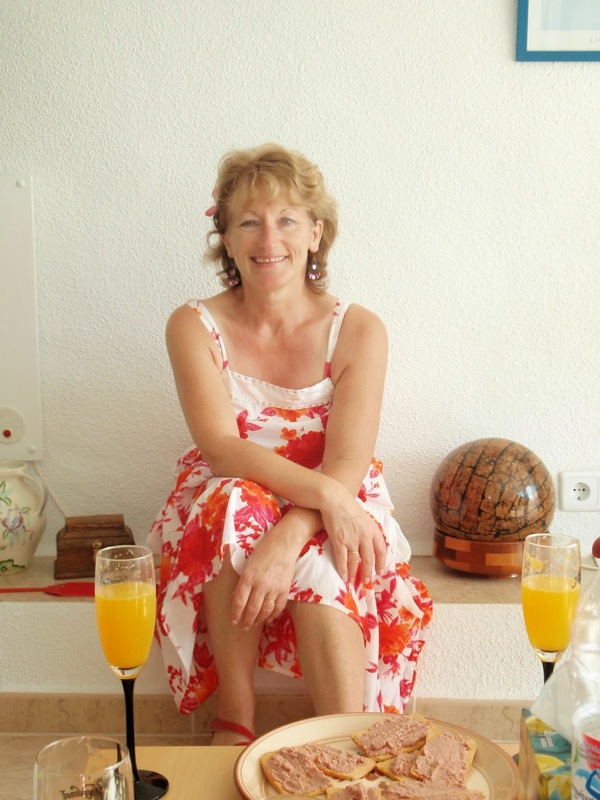 Anna’s books are published in Ireland, Germany, America, Russia, UK and Australia. Suzanne Ruthven, former editor of The New Writer, started her professional writing career in 1987 by founding the small press writers’ magazine Quartos, which ran for nine years until its merger with Acclaim in 1996 to become TNW. Author of over 20 titles on spiritual, country-lore and self-help matters (including two novels) she has regularly contributed freelance articles to a variety of publications as diverse as The Lady and the Funeral Director’s Journal. Currently commissioning editor for Compass Books (an imprint of John Hunt Publishing), she now lives in Ireland. Sarah Zama has been a bookseller in Verona (Italy) for eight years. She has been writing since the age of ten and has published fantasy short stories for children and adults in magazines and anthologies both in Europe and the USA. There’s an old African saying, “You eat an elephant a mouthful at a time.” This means that no matter how large the task, if you start it and persevere, you can accomplish it. As this blog has a literary bent – i.e. it mainly pertains to reading and writing – then this saying can be applied to both these pursuits. For a writer, it’s a daunting idea to begin and then embark on writing an entire novel, comprising anywhere from 40,000 to 150,000 words. Yet it only takes that first step, that first word, followed by another, and so on. Yes, some of the words and ideas committed to paper or screen might not survive as the work progresses, but that’s not important in the writing stage. It’s the doing that counts. All you need is the imagination and the time; and anyone can make time, if they’re determined enough. The same goes for a book. Recently, I’ve read some thick tomes, over 800 pages. Those pages have been read quickly, fortunately, because the authors have the happy knack of making their narrative impel the reader to turn the page. Again, time is the issue. A few years back (1995) I conceived of the not particularly original idea of publishing novellas, under my imprint Manatee Books. These were 92-page perfect-bound paperbacks, and I felt that they would appeal to busy people who have little time to read a normal-length novel. Alas, I was lacking in marketing skills and the Internet outlets were somewhat limited then, so after only four titles I shelved the idea. Interestingly, Penguin took the same route some years later, with several best-selling authors. Now, of course, novellas and even short stories can be purchased for e-readers, so the market has been transformed both in accessibility and reading-times. Stories to keep you wanting more ... and more. Tales of reminiscence by a sleuth in sunny Spain which ensure you keep your eyes open until you've reached the end of one in time to let your head fall on the pillow - until morning. Thank you Nik, for making my nights unbroken and worth waiting for. 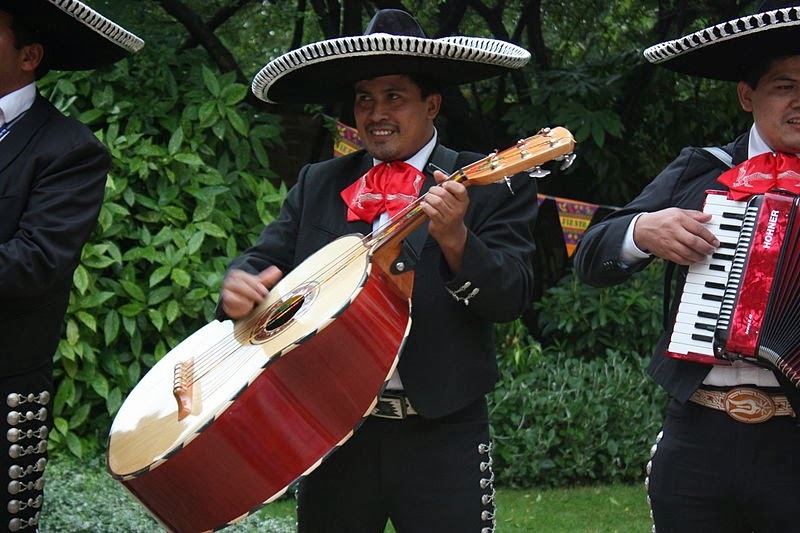 Did you know that the term mariachi comes from the French term mariage? 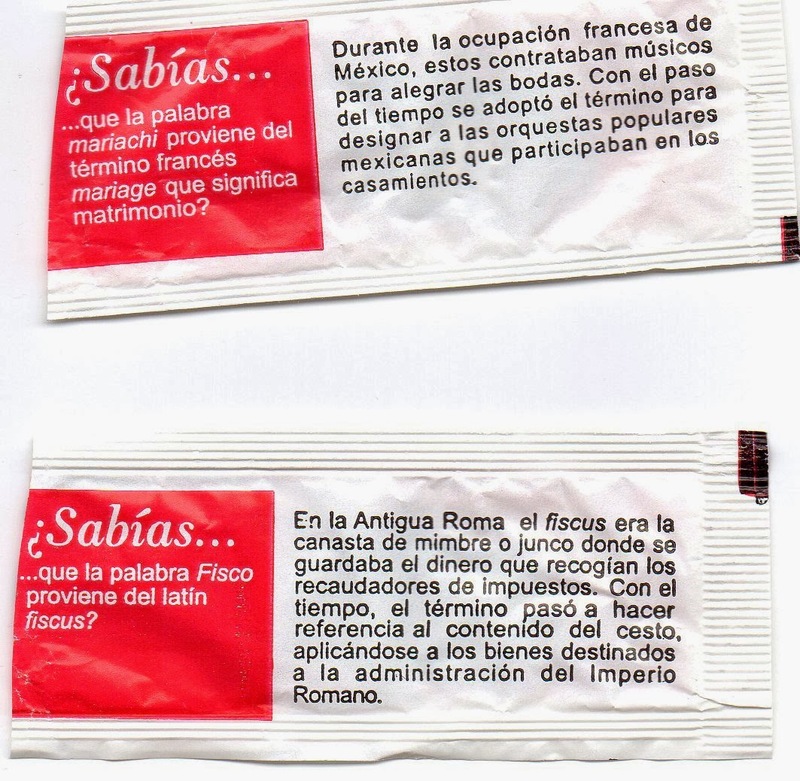 According to this (top) sugar note, during the occupation of Mexico by France in the 1860s, the French hired musicians to play at weddings – sounds like French word mariage. As time passed, however, their music was adopted by popular Mexican orchestras participating in marriage ceremonies. Coin illustrated (Wikipedia commons) reads fisci Judaici calumnia sublata, "abolition of malicious prosecution in connection with the Jewish tax". The fiscus Judaicus ("Jewish tax") was a tax-collecting agency instituted to collect the tax imposed on Jews in the Roman Empire after the destruction of Jerusalem and its Temple in AD 70. Revenues were directed to the Temple of Jupiter Optimus Maximus in Rome. I tend to write fiction, though dabble from time to time with articles - non-fiction. I read a lot, as well as writing a lot. Sometimes, I come across an item that inspires me or appals me. Today, I'm inspired by blogger Ron Scheer. His blog is entitled Buddies in the Saddle and it's always an insightful read. Now, however, Ron has excelled himself. He has returned home from an operation on a brain tumour that has still meant his left hand and arm are quite disobedient to his thought processes. He writes with passion, humour and common sense about this annoying, hopefully temporary impediment. Reading his account, I feel he is an inspiration to all of us who procrastinate and don't get those little chores done, whether that's the next magnum opus or the odd task about the house. As Ron says, "My right hand, impatient with this foolery has come to be an irritable twin brother, reaching over sometimes to take my left and offer some awkward solace, sometimes just holding on as if it might fly away. And for the moment, hands held over heart, I briefly feel knit together again." I wish you do recover the use of your left hand and arm soon, Ron! Sitting opposite, the NB judge leaned back and sighed. ‘You can’t change the past, Mr Thurston.’ The judiciary had dispensed with wigs fifty years ago. He looked like a kindly uncle rather than a hanging judge. Not that they hung anybody in New Britain. In a way, indoctrination was much worse. Death was final. Indoctrination seemed like a living death to free spirits like Donna, Tim and me. ‘Very well, then.’ He cleared his throat and rubber-stamped the authorisation. It may be the twenty-second century, but some in authority still relished the old-fashioned methods. He handed the authority to my attractive probation officer sitting beside me. His face twisted in a half-hearted scowl. ‘On your return, I trust you will show more remorse.’ He didn’t care, I could tell. As long as he got paid handsomely with a protected pension fifteen years earlier than the taxpayers who financed his position, he didn’t need to care. I nodded and said, ‘I will definitely try to show remorse, your honour, next time.’ But I doubt it, I thought, but didn’t say. 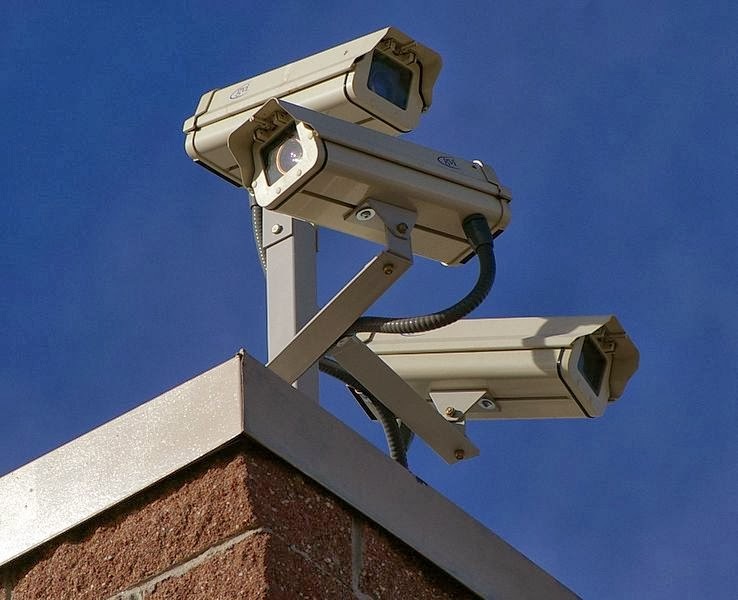 Behaviour control started last century with the street corner cameras and the legions of government funded organisations sustaining the monolith of intrusive government. Individuality was frowned upon for thirty years until the Tinkering Triumvirate, as we called it, kicked in - drugs were introduced into cigarettes and alcohol and subliminal messages were sent out through television, primarily during those boring unscripted reality shows and the plethora of soaps. All of a sudden, individuality stood out and was deemed dangerous. By this time Donna, my brother Tim and I and thousands like us, who preferred reading to watching drivel on TV, had cottoned on to what was happening and went teetotal and underground. Literally. We’d been quite successful, disrupting the transport of drugs to the water-treatment plants and a few carefully sited explosions shunted several television channels off-air for days at a time. These so-called public disorder interruptions threw up quite a number of people who suffered withdrawal symptoms which were characterised by discovering the invasive real world. Some committed suicide, others rushed to find an alternative fix, while many joined our rebellious ranks. We rebels were free to think and free to love. Unfortunately, on the very morning that our underground outpost was under attack from government troops, I found my wife Donna in bed with my brother Tim. A red mist descended over me and the next thing I knew, they were both dead at my feet. The smoking revolver was on the floor. I was devastated and sank to my knees, which is how the government troops found me. I was arrested and charged with rebellion against the state as well as the lesser offences of murdering Tim and Donna. I pleaded guilty, as my good counsel advised. While we’d been fighting our little skirmishes against the government brain-washing system, they’d moved on. Wrongdoers were adjured to visit their past crimes – literally – and repent of their sins. Yes, the religious bigots had taken the reins, ousting the accountants who’d made a mess of things. When the boffins had discovered time travel, the state was in a position to commandeer the plans. Clearly, certain strata of society were protected against NB indoctrination – the scientists and the ruling elite. As engineering was moribund in the country, no private businesses could afford the time machine’s funding. Time-travellers were incapable of interacting with the past or its people; they were merely observers. The theory goes, if you see what you did often enough, you’ll be contrite and ask for forgiveness. Only the state can forgive. This time, though, the judge had permitted me to arrive at the scene five minutes early. I’d pleaded that if I understood what was being said before I entered the bedroom, I might be better placed to comprehend what happened. So I arrived at the bedroom door, dressed as I had been on the day. The lights were out. I slipped into the shadows to the left of the door. She shook her head and then she saw me in the shadows and gasped. ‘Tim, it’s Stuart, he’s here!’ Her eyes screwed up tight. True to her words, I watched myself arrive at that moment at the bedroom door and discover them in bed together. Like all the other times, my face drained of colour and I simply stared. Not once had I seen myself move from the doorway, not once had I seen myself kill the two people I’d loved most in the world. At that same instant, the sirens sounded. ‘Government troops have infiltrated the bunker!’ The tannoy announcement echoed in the room. Tim swore and fumbled under the pillow, pulling out the revolver. I could see it in Donna’s eyes, she thought Tim was going to shoot me when I knew he was probably just getting ready to fight off government intruders. The gun went off accidentally and Donna fell back. Shocked and appalled, Tim flung the weapon away and it went off again, the bullet hitting him in the chest. The revolver landed at my feet. I keep going back, but it’s always the same. How can I show contrition? I didn’t kill them; it was an accident. But the judge would never believe me. So I keep going back – just to see them. Previously published in Telling Tales #4 – Winter, 2009. 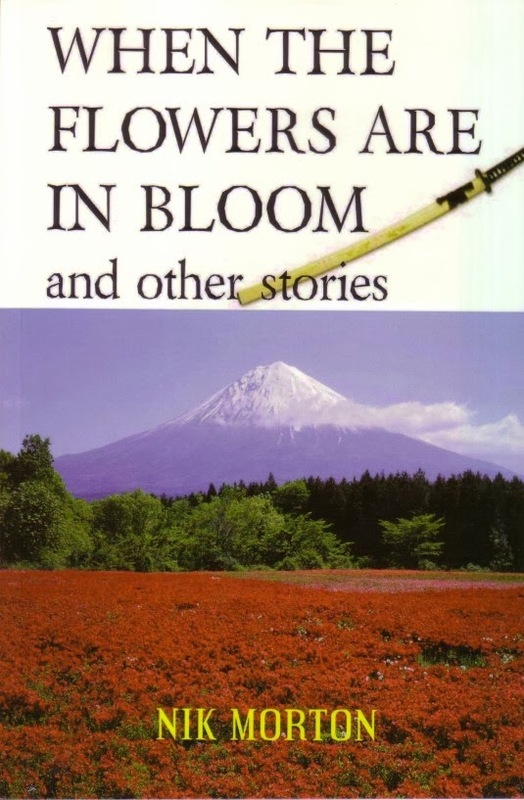 If you’d like to read more of my short stories, many prize-winners, please check out When the Flowers Are in Bloom – Amazon.com e-book here and Amazon.co.uk e-book here – paperbacks are also available. Or try my Leon Cazador collection, 22 cases of a half-English, half-Spanish private eye, Spanish Eye from Crooked Cat Publishing - Amazon.com e-book here and Amazon.co.uk e-book here – paperbacks are also available. 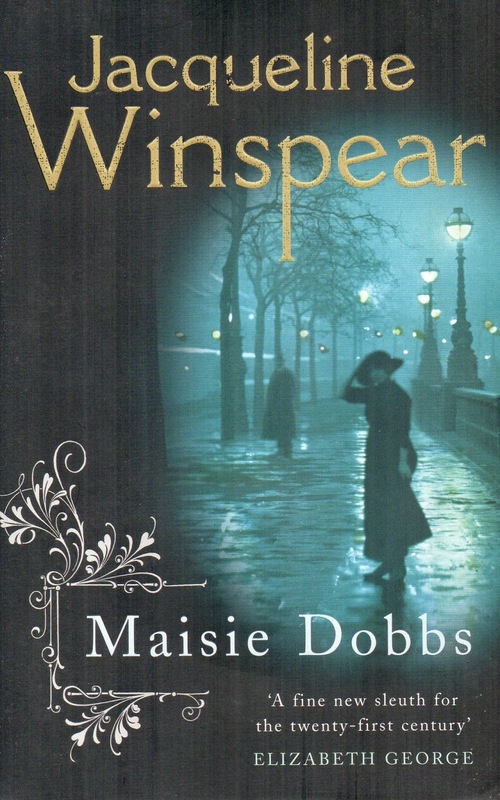 Maisie Dobbs, by Jacqueline Winspear, was published in 2003. It is the first of a series of detective mysteries set in England between the two world wars and certainly promised to garner a strong following of crime readers and indeed anyone who likes period novels. It won the prestigious Agatha Award and the Macavity Award, both for Best First Novel. Seems fitting to mention it in this 100th anniversary year of the beginning of WWI. The story begins in the spring of 1929 and we’re immediately introduced to Maisie who is setting up her own private investigation agency in London. But she is not quite what she seems. Gradually, we get to know her until we’re drawn into a flashback – 1910 to 1917 - that amounts to over half the book, in which her humble beginnings are revealed and her strong and endearing character is developed. Previously, Maisie had worked on investigation cases with her mentor, Maurice, but he’d now retired and she wanted to continue alone. Apart from using observation, Maisie has developed an interesting psychological methodology, one aspect of which is to mimic the stance of an individual to glean how they’re feeling, and this comes across convincingly. She was also instructed by the mysterious Mr Khan on ways to remain calm and to organise her mental faculties. She engages the help of Billy Beale, an ex-soldier, as her assistant and office manager. When her first case walked through her door, it seemed a straight-forward if rather boring infidelity issue. The man feared his wife was having an affair. While she agrees to take on the case, Maisie asks the aggrieved husband what value he places on understanding, compassion and forgiveness. This is indeed an unusual private investigator. She will ferret out the truth, but she also feels a responsibility regarding how the truth is dealt with by her clients too. The suspected wife leads Maisie down pathways that she’d mentally closed for many years so that besides uncovering something sinister, she also peels back the shroud covering a part of her dead past. Told with compassion and never maudlin, the story is primarily about the walking wounded from the war. The writing style is excellent. Well-researched yet never noticeably so, the book captures the time and the people precisely. Some characters and stories ‘write themselves’. That doesn’t mean they aren’t hard work to write. It’s just that the character seems to live and breathe for the author and won’t let go. When it happens, it’s a marvellous feeling. Jacqueline Winspear was an expat English journalist working in California when she was driving to work and stopped at some traffic lights. And while waiting, she saw in her mind’s eye a woman coming up through Warren Street Station turnstile and indeed essentially the entire first chapter of what was to be her first novel. And the more she wrote, the more the characters revealed themselves to her. Before long it was obvious that scenes and events not pertinent to the first book were appearing before her mind’s eye, so she realised she had a series in her head wanting to get out. Her first book is dedicated to her grandfather Jack, who was severely wounded and suffered shell-shock in the Somme, and her grandmother Clara, who was partially blinded at Woolwich Arsenal during an explosion that killed several girls working alongside her. Inevitably, she developed an interest in the ‘war to end all wars’ even as a child. While the mysteries are not war novels as such, they reflect the after-effects of that devastating period when so many young men never came home. Coming of age at a time when the First World War and its aftermath began altering society, many women like Maisie remained unmarried because quite simply there was a shortage of men to wed. Besides being a well-researched book of the period, it has an emotional depth and a cast of interesting individual characters. I’m reluctant to say more about the plot in Maisie Dobbs, save that there are a couple of quite moving revelations at the end. Without doubt, this is a book with heart. 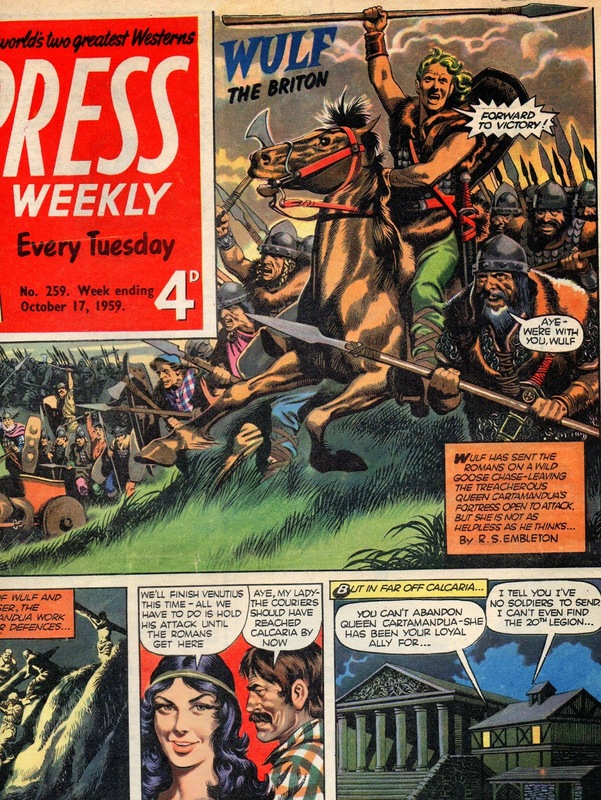 I’ve had a fascination for the period when the Britons were fighting the Romans since my school days. 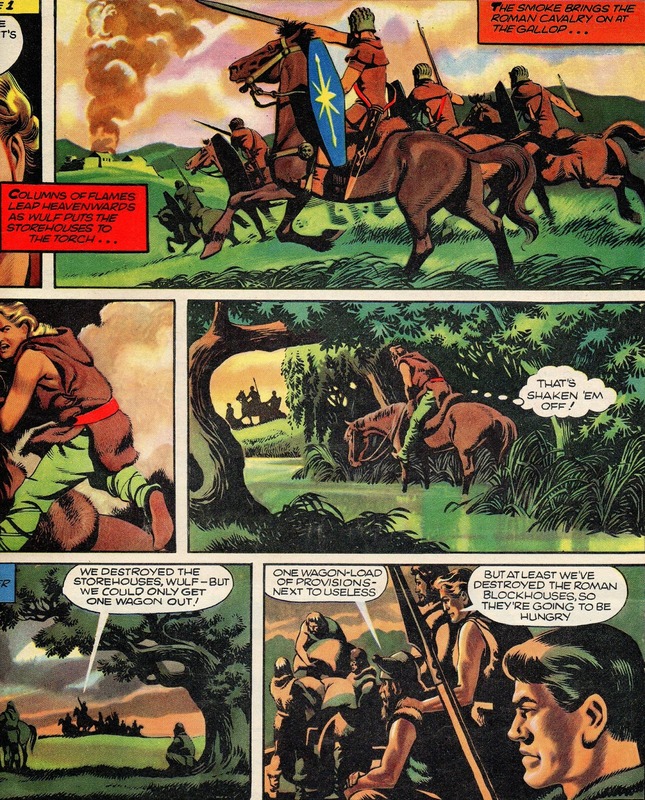 I enjoyed the adventures of Wulf the Briton – as can be seen here. 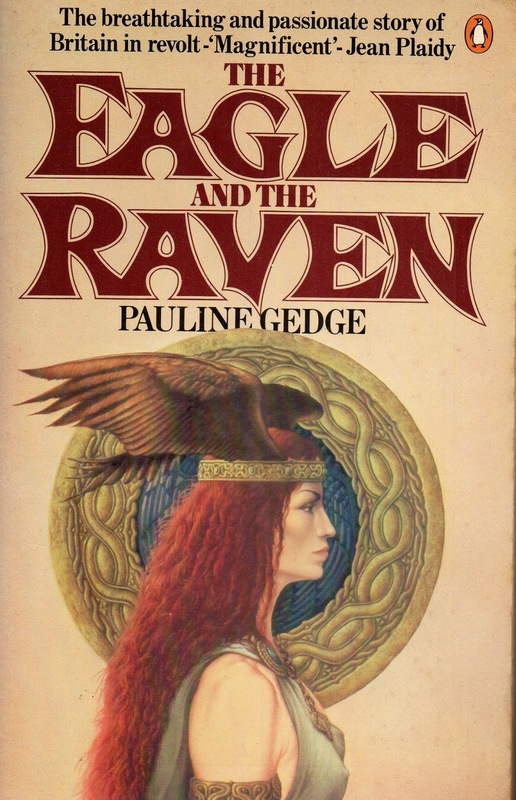 A long while back I bought and read Spartacus and Agrippa’s Daughter by Howard Fast and The Eagle and the Raven by Patricia Gedge, but, apart from a few forays about Boadicca, there didn’t seem that many books about the Britons. 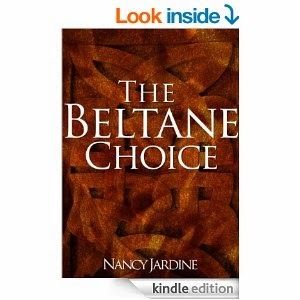 Now, The Beltane Choice, the first in the Celtic Fervour series, published by Crooked Cat, has reignited my interest after all the intervening years. 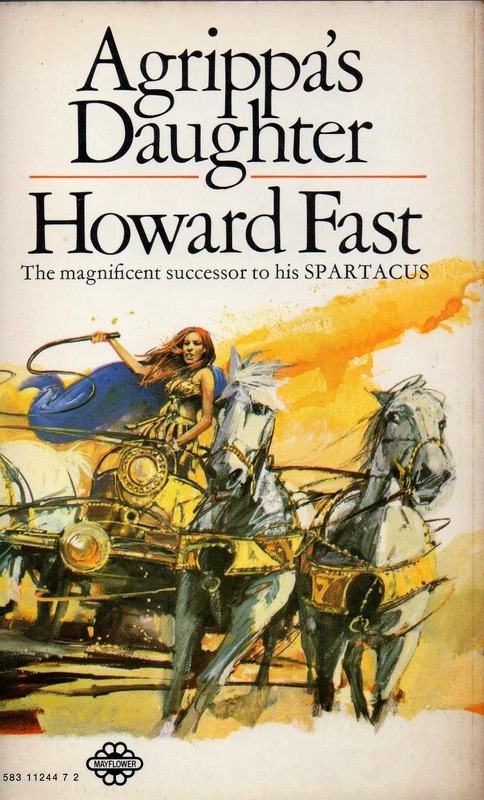 The story is told from the point of view of Nara, eldest child of Callan, Chief of Tarras, a warrior princess of the Selgovae, and Lorcan, an enemy Brigante prince. When the time of the Beltane rites arrived, Nara needed to have chosen a lover, which posed a problem, since none of the men in her village appealed to her. Still, that decision seemed to have been snatched away from her when she became a captive of …, who noticed that: Her breathing almost normal, his captive’s head rose to look up at him. Her stare softened – no more than a blink – but it was filled with some reasoning he could not quite interpret. Exactly what she thought, he did not know, but found he liked that new regard, liked it much better than spitting ire at him as an angry cat. I like her writing style very much. We seem to be there, with her characters, as the description is so vivid: The track snaked across the ridges of the highest hills, the going more difficult above the tree line where the barren terrain lay open to the sky god, Taranis. Random lumps of greywacks littered the surface… The research is never too heavy or intrusive; just right. …The sun, now breaking through the clouds, made the recent downpour sparkle on the verdant green below, the heathers above the tree line a contrasting vibrant purple. The varying browns of the roundhouse wattles and thatched roofs contrasted with the grey-white smoke gently drifting upwards. Perhaps the fighting scenes could have been more graphic, but then again this is a romance; indeed, the restraint may garner more readers. I for one was captivated by Nara and have already purchased the sequel, After Whorl: Bran Reborn. A shorter version of this review will appear on Amazon etc. I’ve been editing other people’s writing for over 30 years. It has helped me self-edit my own work too. This is a very brief overview of the editing process, as I apply it. As with writers, there are no two editors who work in exactly the same manner. Yet, we all strive to help the author to improve his or her work. There are a great many self-published books available these days and, sadly, it’s obvious that they haven’t been edited, which often means that a good story is diminished. Authors definitely benefit by stepping back from their work and appraising it with fresh eyes; the final author edit (self-edit) is vital. The temptation is there, but I’d advise never to send off a book unless this final read-through has been done with a critical eye. I’ve seen and rejected manuscripts where it was obvious that the author hadn’t re-read his work but simply finished it and sent it off. Still, as a book editor (as opposed to a commissioning editor), I looked at work that had been accepted. I believe that an editor can be of great help if he or she reads widely, not simply in a narrow genre; indeed reading a variety of non-fiction subjects too. It is a truism that is often ignored, but all writers should read - and analyse books. Naturally, the majority should write within the genre with which they’re familiar. True, accomplished authors are able to switch genres with ease. I need to know enough about any given subject to ask questions that a book’s potential readership might ask. Though in truth, perhaps the author should have asked these questions at the writing stage, that step back viewpoint again. Still, an editor can’t take it for granted that the author has “got it right”, so there’s a need to check that the author’s research is accurate. The editor’s credo is “Do no harm” – harm is done by altering the author’s style or the meaning of the prose. Unlike short story writers, there’s a tendency to be verbose where novels are concerned. Often, the same thing is said or described in more than one way. Editors should emphasise economy of words: the writer saying as much as she can with as few words as possible. (Did you notice that I said the same thing twice in the previous sentence?) That makes the editor’s – and ultimately the reader’s life easier. Writers should always strive for clarity of understanding. And of course it is the editor’s job to ensure that this is the case. If the editor doesn’t comprehend the context, the visuals or the internal logic, then it’s highly likely the reader won’t either. Good writers appreciate intelligent editing; bad writers don’t like being edited. There are bad editors around, too, naturally. This is the real world, after all. An editor must fight the impulse to over-edit or rewrite. There’s nothing more dispiriting for a writer to find that the prose has been ripped to shreds, apparently without due explanation. However, showing respect to a difficult author can be a problem too. Authors can be demanding or even exasperating, rejecting out of hand even the smallest proposed changes. There is no such thing as precious prose. Balance and compromise are necessary at times. identifying clichés, mixed metaphors and so on. 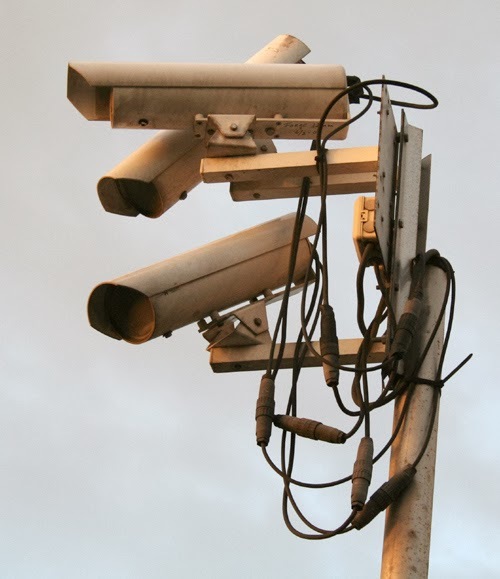 Spotting anachronisms, anomalies and logic lapses (we’re all prone to these in some measure). Making suggestions to improve the drama in a particular scene. Promoting the writer’s visual sense (sketches of scenes can help here). As can be seen from this brief glimpse, editing is perseverance – refine, suggest and advise. In the final analysis, the editor must appreciate that it is the author’s book. Please note that I am not currently seeking editing work. 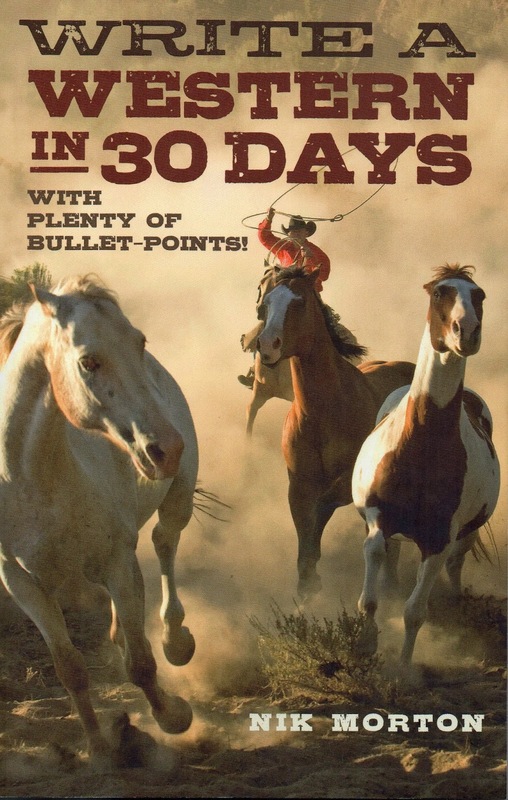 Please see Chapter 14 – Self-edit in Write a Western in 30 Days for details about what to look for when doing that final self-edit. First up, then, close to home, is Jennifer, my wife of forty years. She sold the following to The Coastal Press here in Spain and it was published in the September 2005 edition. I’ve edited the first line of the introduction only, which referred to the 400th anniversary of the publication of Don Quixote. 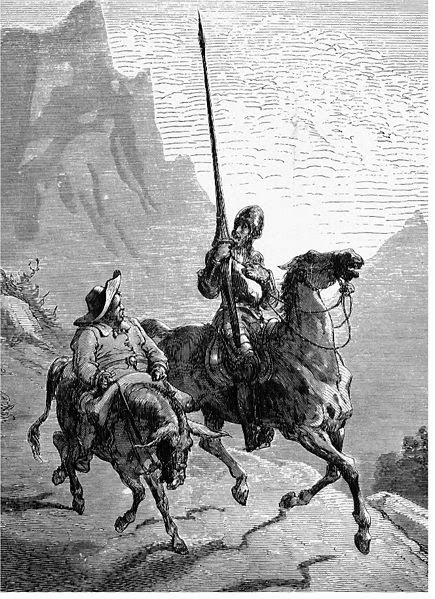 It is 409 years since the publication of Part I of Don Quixote. 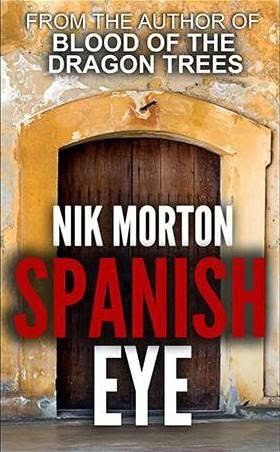 Perhaps this offering may be of interest, particularly to those who have an understanding of some Spanish and haven’t read the book – 672 pages in Spanish, 765 pages in English. (Part II of Don Quixote didn’t appear until 1615). The following macaronic poem briefly tells the famous story. Macaronic poetry was coined in the sixteenth century by the Italian poet Teofilo Folengo. He was referring to a kind of burlesque verse he invented in which Italian words were mixed in with Latin ones for comic effect. Macaronic as a word first appeared in English a century later and expanded its scope to refer to any form of verse in which two or more languages were mixed together. He was a very gallant and inestimable hombre. Of quarrels, battles, challenges ’gainst moros and gigantes. To roam the world and right all wrongs and seek for aventuras. His friends, the barber and the priest, avowed this was locura. He'd rescue damsels in distress and hang the consecuencias! And took to squire a village-man, by name of Sancho Panza. His nag, bare flesh and bones, but brave, he dubbed him Rocinante. But Dulcinea? A country lass who hailed from El Toboso. Set out ere dawn one summer's day, ‘cross plains of broad La Mancha. With giants he fought, though they were nought but sails of a molino. A barber’s basin chanced he by, the Helmet of Mambrino. But, waking, found he'd pierced some sacks of wine which flowed like sangre! And wretches chained to slave in galleys rough, he'd defender. For those he freed abused him, stoned and scorned our good cristiano. Could scarce believe the arrogance of this brash caballero! The challenge he accepts. They charge; White Moon unseats our Don. “My honour’s slain, so kill me now!” He bares his corazon! “No, Sir Knight! I'm content with this! Dulcinea is muy hermosa! With sorrowful countenance, Don Quijote confessed he had been muy loco. But now he was sane and smiled again; but knew that his time was poco. He sighed one last sigh and en lágrimas died, and went to his Maker. Amén! Jennifer attended Bolton Girls' School and then Newcastle University, obtaining her degree in Spanish. She met Nik February, 1973 and they were married one year to the day after. Nik was in the Royal Navy and he was drafted to Malta, where they both stayed for 18 months, returning to UK for the birth of their daughter Hannah in 1976. Jennifer taught history, music, French and Spanish in schools then became a college lecturer in Spanish. She and Nik emigrated to Spain in 2003 where she soon took up singing in choirs and became the MD of the ladies' choir Cantabile in 2007. She has completed a novel, The Wells Are Dry, a romantic thriller set in contemporary Spain and is looking for a publisher or agent for that. When not preparing for choir performances, she writes poetry and short stories and has embarked on a historical novel set in 10th Century Spain. Eye, eye, is that a sale I see before me?